Meditation has been backed by science for its ability to reduce stress, manage pain and boost overall mental and physical health. With our busy lives, it is easy to forget the importance of simple meditation due to a few common misconceptions. We are busting the myths to show you how setting aside just a few minutes per day can improve your focus and calm your body and mind, with tips from preventive medicine physician Roxanne Sukol. One of the most common misconceptions around meditation is that you need to set aside at least 20 minutes to do so. This is false. If you have a spare minute, you have enough time to meditate. “When I first started, I used a one-minute mindfulness meditation. Breathe in for five seconds then breathe out for five seconds. That’s your warm-up. Then repeat for one minute. It’s that simple, and you can work up from there,” said Sukol. If you find it hard to switch off your mind when you are trying to meditate, it is OK.
“The goal of meditation is not to clear your mind of all thoughts. The goal is to return to the breath. Every time you find your mind wandering, return it to your breath. That is how your mind learns to benefit from meditation,” said Sukol. Once you learn how to draw your attention back to your breath, you will increase your awareness of the present moment, helping you to find calmness and balance. Read also: Could meditation boost brain functioning long-term? Some may think that sitting still, focusing on your breath is essentially a big waste of time. Soothe your genes: The genes related to stress and inflammation are targeted during meditation, reducing the levels of both in the body. Blood flow: Meditation improves the blood circulation in the brain and other organs during practice. Increased blood circulation gets more oxygen and nutrients to every cell in your body, helping them to perform better. Keeping your blood flowing could help you to get through stressful moments too. Brain function: Studies have suggested that meditation affects every part of your brain, thus it can improve focus and help to put your train of thought back on track. Psychological stress: Practicing mindfulness can reduce anxiety and depression in our crazy, fast-paced lives. If there is any opportunity to relieve any kind of psychological stress, it is worth taking time out of your day for it. When some people think of meditation, they picture an image of someone sitting, cross-legged with their arms up as they chant “ohmmm”. The truth is, meditation comes in all shapes and sizes, which means that not every experience is going to be an ultra-Zen and mind-blowing one. Sukol recommends playing around with different types of meditation until you find one that works for you. 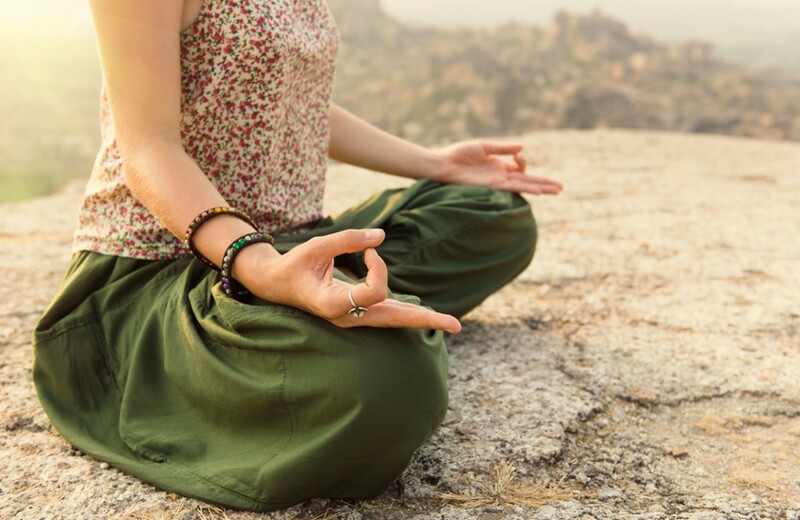 Note that you can even use several types of meditation during one session.